The architectural hardscape and landscape of the park was developed to create a signature park for the City of Homewood. The addition of the dramatic entrance gateway and bridge, the stone amphitheater, multiple pavilions, paved free play area and separate children's playground provides the framework for various forms of recreation. 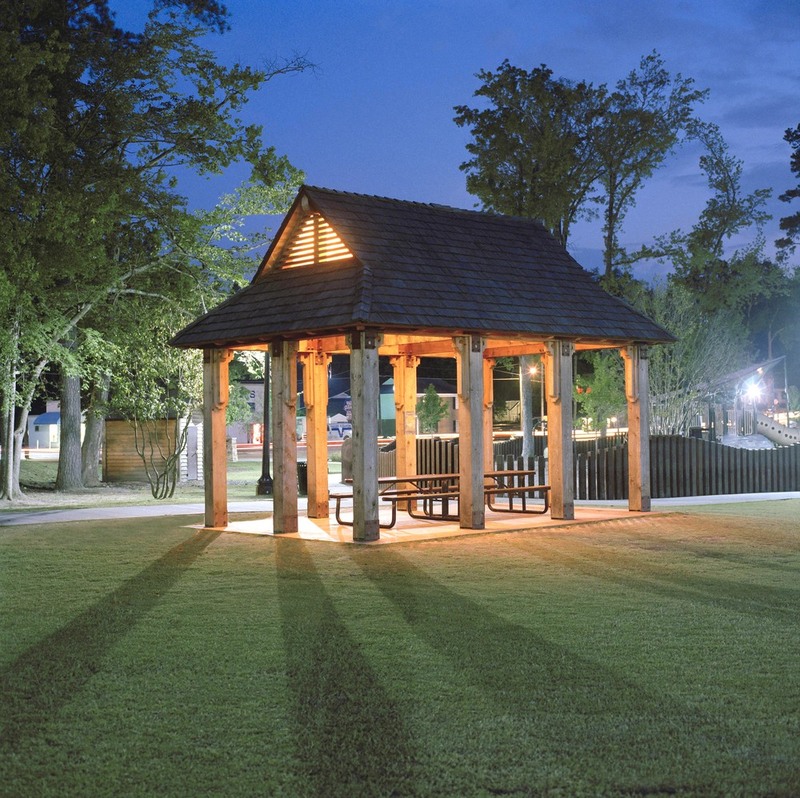 The re-channeled Griffin Creek increases the usable central lawn for recreation.